What would the LSAT make of an organization’s decision prohibiting water bottles from bearing the claim that drinking water can help reduce the risk of dehydration? A detailed description of how to more accurately and efficiently anticipate the nature of correct answers in Logical Reasoning. 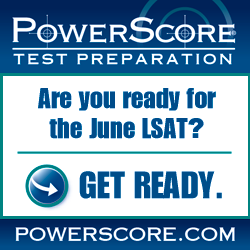 Maximizing your LSAT score sometimes requires taking a break from your LSAT prep. How to cut through the bullsh*t on the LSAT. An overview of LSAT Logical Reasoning question types examining the relationships established by each between the stimulus and answer choices.